USA FDC incl. einer mit 22 Karat Goldfolie überzogenen Marke! 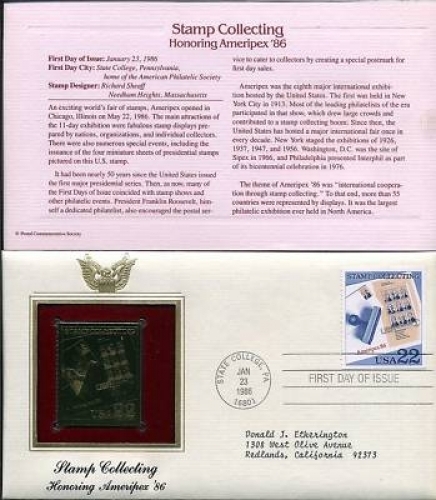 USA First Day Cover including a golden stamp (the stamp is covered with a 22 Karat gold foil).